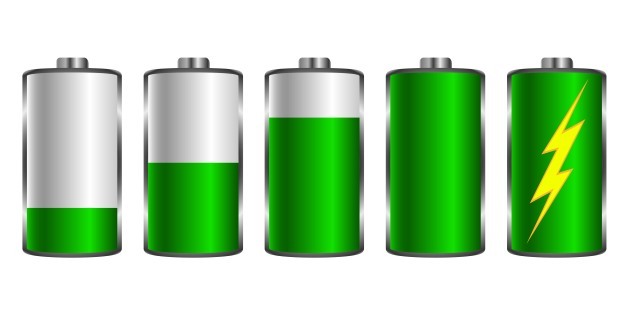 Here are the best 7 tips to increase battery life of your Android phone. We Know that ‘screen on time‘ uses the most of the battery on any device. But some tips are useful for saving the battery on your android phone or make the mobile battery last longer. If you want to save battery life, then do not full charge battery of your phone. To extend the battery life of your phone, charge your phone 30% to 80%. It has helped for an increase recharge cycle. Read this post to know How To Increase Battery Life Of Your Android Phone. Android lollipop has battery saving mode by default. It helps to improve battery life. But it reduces the performance of the device because it limits the background data. To turn on battery saving mode, go to Settings > Battery > Tap on options. Also, HTC has Extreme Power Saving Mode, SAMSUNG has an Ultra Power Saving Mode, Sony has STAMINA mode. You can use these features for saving the battery. You can also download battery saver from Google Play Store. DU battery saver is the one of the best battery saver application in play store. Yes, it’s true black wallpaper can save battery. If your phone has AMOLED Screen, It affects on battery life. Because in AMOLED screen black pixels are off, they can not consume the battery on. You can use the dark theme or Dark Keyboard for increase battery life. If you can use a phone for chatting then enable dark color keyboard. Google added many themes in Google keyboard. If you are using google keyboard, then use a black theme of the keyboard. Read Also Use Google Keyboard Like A Pro With These Tips. To change the theme of the keyboard, Go to Setting > Language and Input >Google Keyboard > Theme > select Black Theme. If you don’t need, then Turn off Data, WiFi, Bluetooth, GPS Location, NFC. Turn on manually when you need. WiFi, Bluetooth, GPS and Data connection consumes a lot of battery. If your GPS location is turn on, then many apps track your location in the background and consume battery. So turn off these functions and turn on when you need. Set the screen timeout 30 second or less rather than 1 minute. Because sometimes we left our phone without pressing the lock button. It will help to increase the life of the battery. Do not select screen timeout more than 1 minute. Most apps running in the background in android. If you don’t want any app, then uninstall it because apps that are running in the background consumes a lot of battery. You can check which app is consuming more battery from settings. If any third party app consumes more battery, and you do not use it then uninstall it immediately. Always Use low brightness as possible because the screen has consumed more battery than the other. Use auto brightness. And set the brightness manually as per your requirement. Use the only original battery for best battery life. These are the tips for battery saving. If you know, another best battery saving tips, then write in the comment.